Rep. Keith Ellison (D-Minn.) is projected to win the Democratic primary for Minnesota attorney general in a race that was marked by late-breaking allegations that he abused an ex-girlfriend, which he denied. Ellison defeated four Democrats running in the primary to replace Minnesota Attorney General Lori Swanson, a Democrat who's running for governor, the Associated Press reported. He won 54 percent of the vote. [post_ads]The congressman and Vice Chairman of the Democratic National Committee had been considered the front-runner when he announced in June that he'd leave Congress to run for attorney general. But the race was upended after the son of Ellison's ex-girlfriend posted in Facebook that he watched a video in which Ellison dragged his mother, Karen, off a bed and shouted profanities at her. Karen Monahan appeared to back up her son's account, tweeting that Ellison knows "you did that to me." However, Ellison has denied the accusations, saying that the video doesn't exist because the incident never occurred. Ellison was the first Muslim elected to Congress in 2006 and is one of the most progressive members in the Democratic caucus. He made a bid to head the DNC but lost to Tom Perez last year, though he was later tapped by the former Secretary of Labor to be the deputy chairman of the organization. 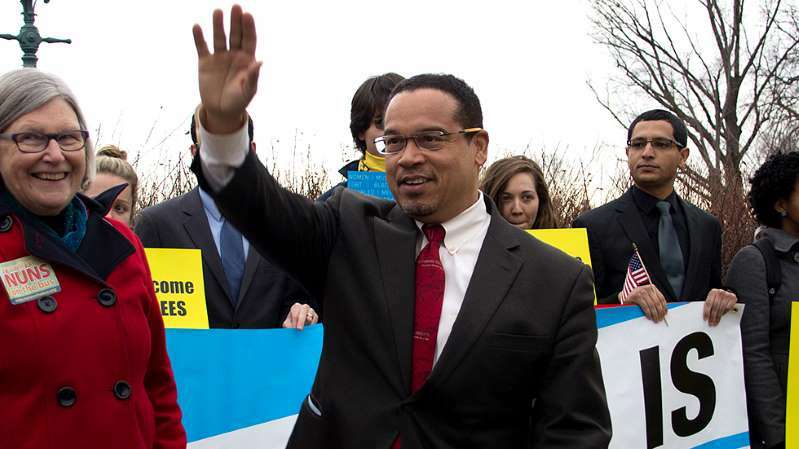 Ellison endorsed Sen. Bernie Sanders (I-Vt.) in the 2016 Democratic presidential primary, and the senator in turn campaigned for the Congressman last month.